This is a sort of sequel to The Kiss Quotient which we read for book club last year. It’s a sequel in the sense that it takes place in the same world with the characters from Kiss Quotient, but focuses on a different set of characters. I am curious to see if this book will be as fun and enjoyable as the first. I added this book on recommendation from a friend. I’ve seen it around and it has also been on Reese’s book club list. Seeing as my friend and Reese have never steered me wrong, I finally added this book to me list. I love love stories and I also love when they have a catch. The story starts in present day and then goes back to the beginning. It seems cute and I also like the cover and I’m a sucker for a good cover. I was offered to read this book for review, which is how it came to be on my TBR. It follows a Polish couple, one who is a ballerina and the other a student who emigrate to America. Their son, Yuri, is born with a rare health condition that causes him to be unable to interact with other children. They get a teacher to tutor him at home and she has past ghosts of her own to deal with. Honestly, I had zero idea what this was about until after I added it. This past year Christina Lauren became an automatic read author for me. It looks like it’s going to be a hate-to-love romance trope which is my absolute favorite, so I am very much looking forward to this book when it comes out. 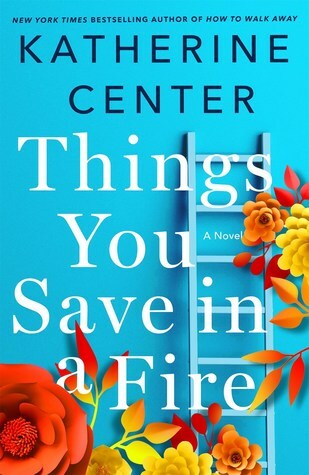 I think I found this book on a blog of books that someone was looking forward to in 2019. The idea of a guy having to find a girl with his ex’s same name in order to use her train tickets as they travel across the US is too juicy to pass up. It does sound like there will be some insta-love, but I hope that it will be done well. I’ve read a book or two by Smith in the past and enjoyed them, so I’m looking forward to this one. This is another book that I was offered for review, but it is a series that I have been reading and reviewing for a few years now. I didn’t expect a sequel to come out so soon so I’m excited! This series is different from what I normally read as it happens in past England and is sort of a murder mystery type series, but there are so many other storylines within. I’m curious to see where the story continues to go. I about screamed when I saw that Meg Cabot was coming out with a new book. Similar to the Christina Lauren book, I added this one without even looking at the summary. This is easily up in my top 3 most anticipated books of 2019. This was a book that caught my eye based on the cover, but the cover has changed and I don’t like the new one nearly as much. Admittedly, I would not have checked out the description if this had been the original cover. Luckily though, it has already been added and the summary is one that interests me. Connell and Marianne pretend not to know each other at school, but they are connected. They spend the next couple of years circling each other, but always ending up connected again. I’m curious to see what their relationship entails and what causes them to come back together over and over again. In January I picked The Alice Network for my book club book and loved it. This next book also follows a female in World War II. I loved the pacing and tone of The Alice Network, so I wanted to read another book by Quinn. I hope that I enjoy this book as much as the first, because I would love to have a new favorite historical fiction author. My tenth book was, yet again, an auto-read author for me. 2019 is going to be a good year for books since so many of my favorite authors are coming out with something new! This story follows a female firefighter dealing with being the only female in the firehouse. Of course, there’s a love story thrown in there that will, I’m sure, be wonderful. Do you have any of these books on your list? What are some of the books you’ve recently added that you’re looking forward to.